A huge, beautiful dragonskin natural turquoise (81 x 38mm), hand mined in Tibet. Set in a plain, handcrafted sterling silver setting. 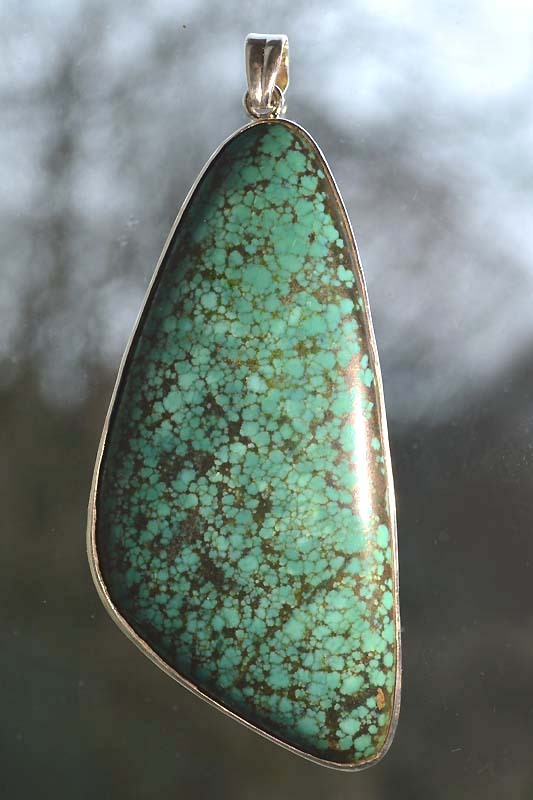 "Turquoise is a healer of the spirit,providing a soothing energy and bringing peace of mind. It was used in ancient times to insure property and protect against accidents. It has been esteemed,by the Tibetan shaman, as holding both a spiritual and protective property. 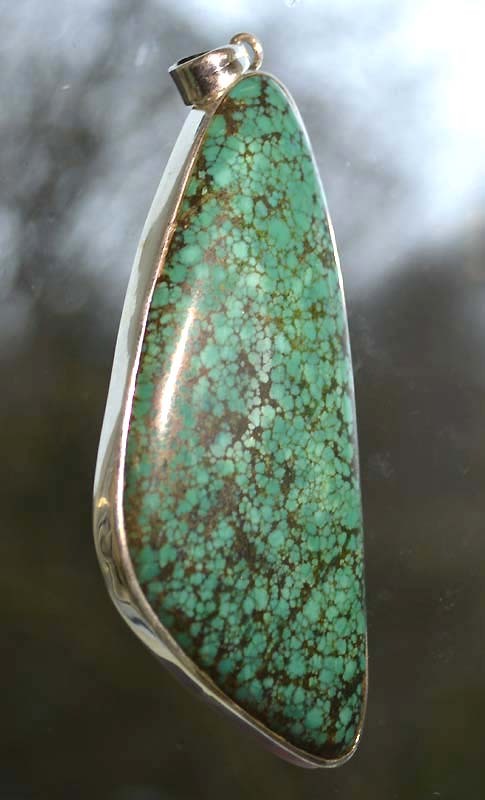 Considered by the Native Americans Indians, to be both a protective stone and bestower of goodness." 90mm (overall length), 31 grams.